Jay Alvarrez was essentially put on the map when he dated fellow social media influencer, Alexis Ren. The two became the envy of hot couples everywhere! Now, the couple has broken up and moved on to expand their profiles solo. While Ren is lacing up her shoes for Dancing with the Stars, Alvarrez is building his own social media empire. Jay Alvarrez and Alexis Ren skyrocketed to social media stardom when they dated, traveled, and shared their general mushiness with their scores of fans on YouTube and Instagram. They were the literal definition of #RelationshipGoals but that ended when this couple had a somewhat bitter breakup. Now, Alvarrez travels solo, makes videos, and builds his fan following day to day alone. Still, many are curious to know all about him (especially now that he’s single). Our Jay Alvarrez wiki traces this social media influencer’s rise to the top. Jay Alvarrez, age 23, was born in Oahu, Hawaii on July 5, 1995. His typical surfer boy looks come from his Hawaiian heritage. After his breakup with Ren in 2017, Alvarrez’s life has been pretty eventful. He revealed that he recently brought a home on a beach where he grew up in Hawaii with his social media earnings. Jay Alvarrez has a tattoo inside his bottom lip that reads, “Let’s Live,” and that seems to be his modus operandi. He was first noticed on the Internet thanks to his thrill-seeking streak. He loves surfing, skydiving, swimming, and extreme sports. The first part of his biographic video, “Jay In The Simulation,” features his travels, his tattoos, and his ex-girlfriend. Alvarrez and Ren went on luxurious and exotic vacations. And after their breakup, he hasn’t stopped traveling. Instagram model Alexis Ren and Jay Alvarrez first gave people #CoupleGoals when they dated between 2014 and 2016. They first made a splash in 2015 when they displayed their romance on the Internet duing their exotic vacations. They snagged endorsement deals together and soared in their respective modeling careers. But in 2016, there was speculation that this couple’s relationship was on the rocks when they seemed distant at an event they attended together. It was later discovered that they unfollowed each other on Instagram and Twitter. Their videos and posts together had become scarce, too. Their cryptic tweets fueled the breakup rumors until Ren confirmed their breakup in February 2017 in an interview in Cosmopolitan. She hinted that fame got to Alvarrez and she wasn’t his priority anymore. Ren went on to claim that he had a “small d**k,” and he clapped back with a tweet on body shaming. According to his video, “Jay In The Simulation,” Alvarrez’s video-making journey began when he dropped out of school in seventh grade with his then-flame, a girl named Amber. They planned to make money and fame with their videos. Alvarrez is passionate about photography and videography. He left home when he was 15 years old to pursue his aspirations. He would spend whatever money he earned through various means on traveling and making his videos. When his videography aspirations were taking off, life hit him with a curveball. His mother, who was his biggest support, passed away. He also loves producing music and worked with Kygo on a joint project in Ibiza. Although his personal life suffered last year, the booming Insta-celeb scene worked in his favor. Alvarez’s modeling career grew to the point that he’s now making millions through his various projects. He went from making Vine videos to starting his thriving YouTube channel. With over 1.2 million subscribers and over 106 million views since 2012, he reportedly earns over $59,000 annually from YouTube alone. 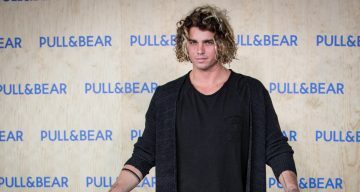 Jay Alvarrez’s Instagram account has 5.9 million followers, too. According to reports, he makes anywhere between $8,900 to $14,900 per post! In one video, he shares a picture of what looks like a joint endorsement agreement with Ren. The documents promise $150,000 for both models. He has done campaigns for Armani Exchange, Coca-Cola, Hyundai, Ralph Lauren, and Bonds swimwear, among others. He’s also venturing into acting and has reportedly signed on to do a movie. In recent history, Alvarrez got everyone talking with his collaboration with the Australian travel gear brand, Douchebag to release a special edition line. He starred in a video with professional skydivers, Espen Fadnes and Jokke Sommer, to promote the video. The video saw Jay Alvarrez stuffed in a Douchebag suitcase and thrown out of a helicopter with the pro skydivers. He escapes out of the bag while it’s plummeting and pulling out the parachute before landing on an island! You can see why this promo video has everyone talking by clicking on the link below. Also Read: CJ Franco’s Wiki: The Hottest Model to Hit Town This Side of a Volcano!